Earlier this year, I read an article about a recent study that showed kids between the ages of 2-5 are more likley to be skilled in in the ins and outs of a smartphone, than they are with the ins and outs of tying their shoes, which in past generations was a learning/development milestone. So when I saw this image this morning, I chuckled. Signs of the times!! 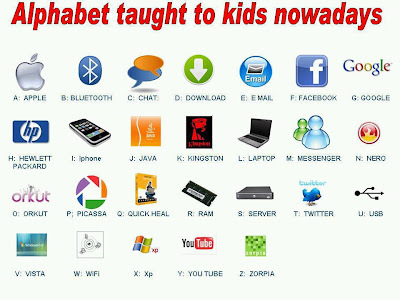 How ancient our childhood joys must now seem! 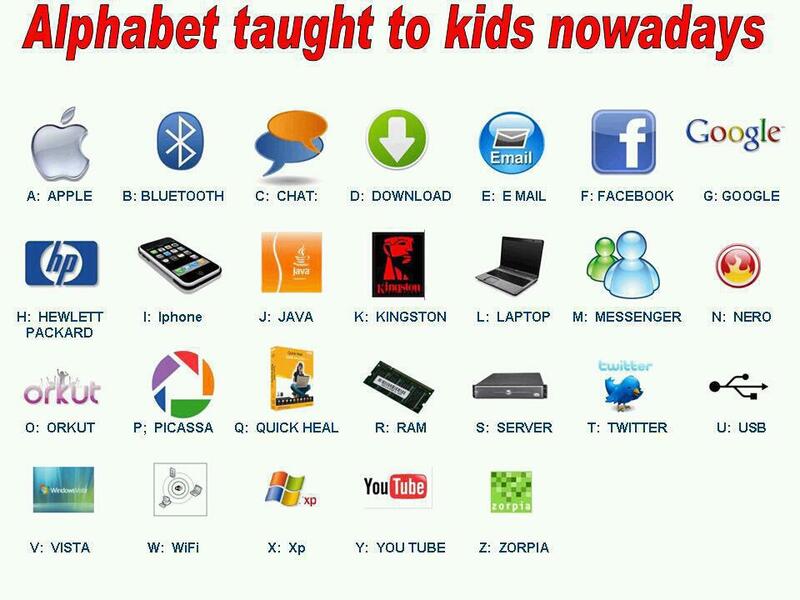 The 2011 method for teaching kids their ABCs? Comments appreciated but if you are disrespectful, you'll get the boot. I decided to put all my doodlings on one site and have people share their own thoughts on same. Sometimes I will post PR shop stuff, and other times, I won't. Do You Monitor or Measure Your Media Coverage?